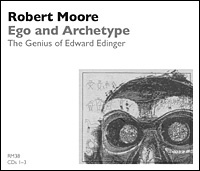 This workshop offers an overview of the research of Edward Edinger into the nature and dynamics of the archetypal Self and its relationship to the human ego. Edinger's recent death marked the conclusion of a distinguished career of intensive inquiry into the promise and pitfalls of our attempts to become conscious of the "great self within." Special attention is given to Edinger's presentation of the phenomenology of the Self and his description of the "ego-Self axis."